Whilst on my travels over on Pinterest, I stumbled across a rather beautifully made winged key, which was being sold over on Etsy. It's truly beautiful. 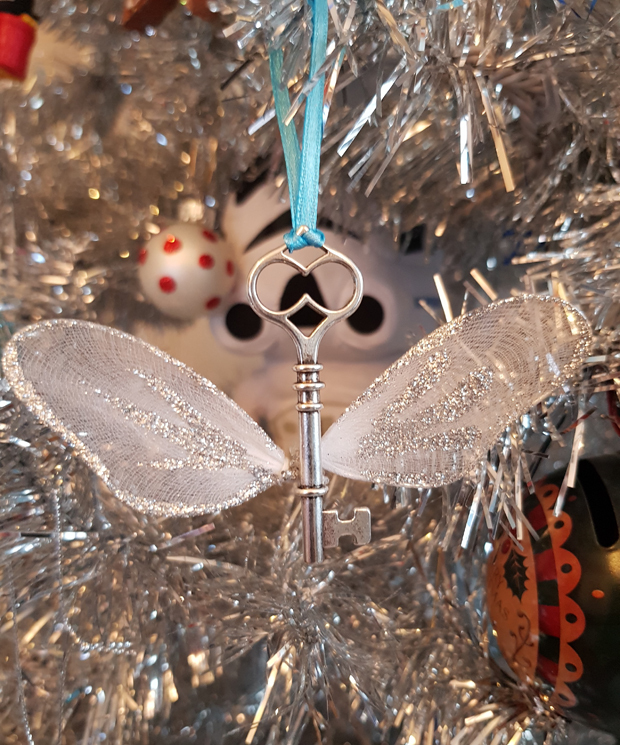 I love the detail of the key and can see why it's on Etsy, unfortunately, for the number of keys I wanted for my tree I could not justify buying a bulk load from Etsy so I made my own. A far lesser version but still a good enough substitution in my opinion. 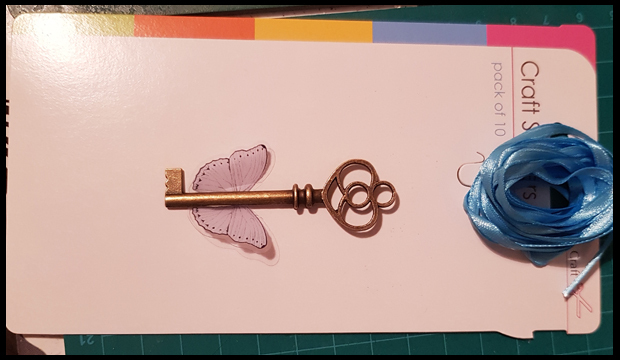 My first set of keys and wings I'm not so much a fan of, but it's all about trial and error with craft sometimes, isn't it. The wings I found were too small and whilst bronze is the colour for HP I wasn't really feeling it for my tree. 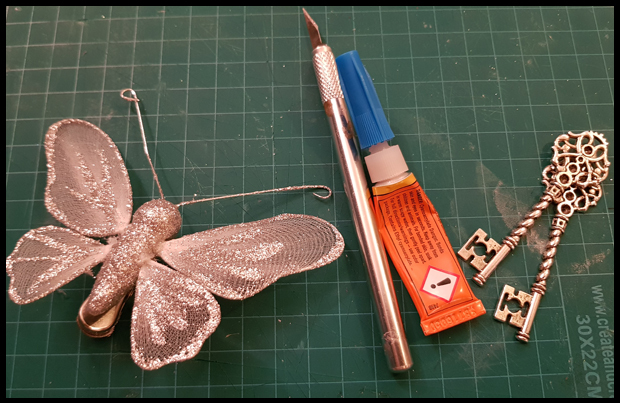 All I needed to do was to pick the wings off and glue them to the back of the key, this is a bit of a fiddle and needs a steady hand, so that was a nice challenge for me! Whilst these are only stickers, I still got a little pang of guilt as I plucked the wings off butterflies!! 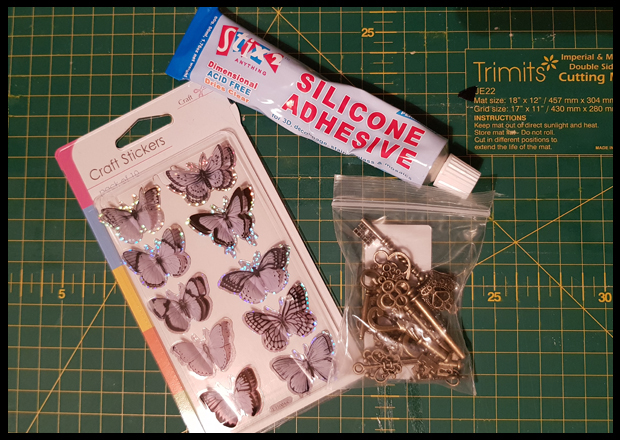 My second set of keys I purchased were silver and I found some fabulous glitter butterfly tree decorations in TKMaxx and just knew that these butterflies were meant for my keys. 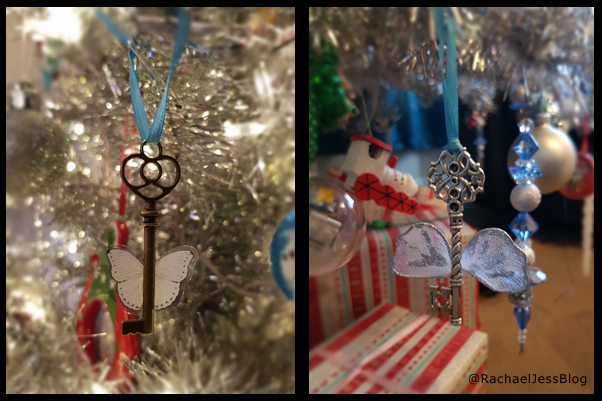 I do think the silver keys look far better on my tree than the bronze, but it's all about personal choice really. This was a great quick and easy craft to make, not a patch on my Etsy find up at the top of the page, but a great craft for my tree all the same.